December Cruises: Transatlantic Cruise: 15-nights in December 2012. Begin an idyllic cruise of the transatlantic in Rome. After exploring Rome all day sit back on the cruise and let it take you to Florence. 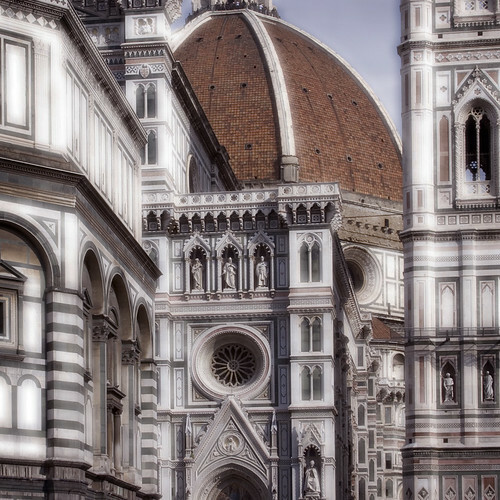 Founded by Julius Caesar himself, Florence is known as the birthplace of the Renaissance. History and art shake hands in this picturesque land where masterpieces like Michelangelo's David can be seen in the city's many museums, churches and galleries. Fall in love with this charming town. Genoa is The city is bordered on one side by the ocean, and on the other by mountains. In the lower city, you will be sure to find cobblestone streets, quiet nooks interlaced in alleyways and unique shopping opportunities. Provence (Toulon), France is just off the coastlines of the French Riviera where visitors can discover a bustling seaport. With sailboats filling nearby waters as they pass in and out of local docks, the city is home to a bevy of museums, historic sectors and nautical neighborhoods. There's nothing quite like Barcelona. Gaudi's architecture is spectacular just like the vibrant fruit markets and atmosphere. Love the Lush forests, spectacular beaches, deserts and mountains of Tenerife before boarding the ship for 8 nights on the seas to Fort Lauderdale. Ports of Call: Rome (Civitavecchia), Florence & Pisa (Livorno), Genoa, Provence (Toulon), Barcelona, Tenerife, Fort Lauderdale. Sailing Dates: Departs: Sat, Dec 1 2012. Arrives: Sun, Dec 16 2012. When Celebrity Silhouette launches in 2011, there will be another spectacular option for cruising Europe and the Caribbean. She'll have all the best-loved Solstice Class features. Go on a culinary adventure in QsineSM. Get social at the icy Martini Bar & Crush. Stay connected in the Celebrity iLoungeSM Internet Centre. Play games on soft, fresh-cut grass at the Lawn Club. And enjoy sweeping veranda views in 85% of stateroom. Read more about the Celebrity Silhouette here! Book the Transatlantic Cruise here!